Whisson’s use of bright secondary colour is most important, enabling him to present the forms in a layered, matter of fact and almost simplistic manner. His basic colour combinations are not dissimilar to those of a sign writer and he uses them with similar intent; to arrest the viewer’s attention, and lead the eye through the narrative in an almost subliminal manner. There is a profound clarity about Whisson’s painting. 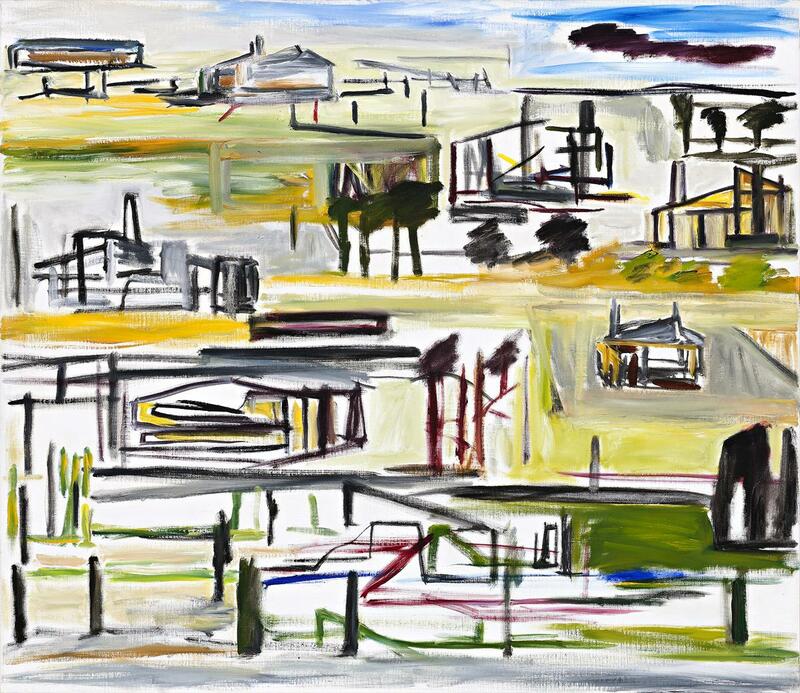 Apart from several early works where the influence of Danila Vassilieff and Sidney Nolan is evident, the majority are totally original images. The artist used his early influences as a springboard into his imagination, applied his own ideas about painting and never looked back. They are direct and uncompromising pictures in every way. Perhaps it is Whisson’s choice to live a life devoid of the usual excesses which has enabled him to create such an unparalleled and even body of work over so many decades of dedicated practice.